https://www.beyondsoccerlawrence.org/wp-content/uploads/2018/06/SPring-2018-Page-1.png 1200 800 stephanie http://beyondsoccerlawrence.org/wp-content/uploads/2016/06/beyondsoccerlawrence.jpg stephanie2018-06-20 14:25:462018-06-20 14:32:24Spring 2018 Newsletter! The Grade 6 Boys Thunder Team Wins the ECYSA Tournament of Champions! 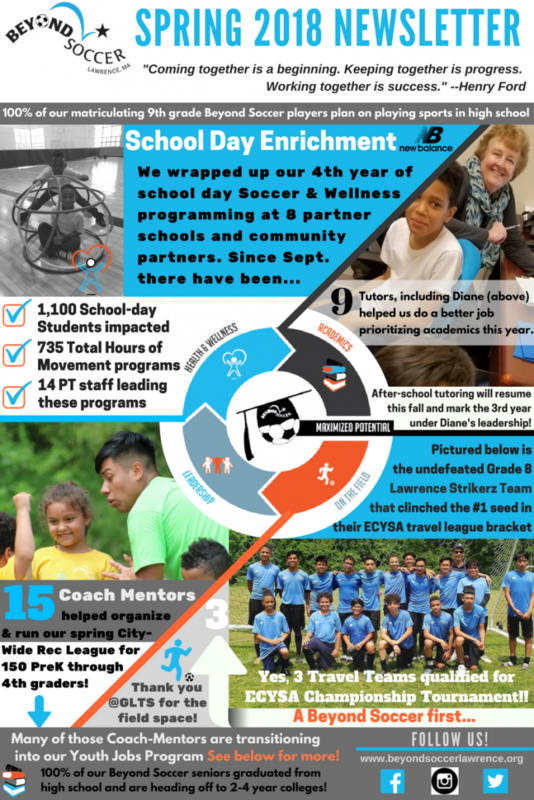 June 2018 – Beyond Soccer Awarded a Sports 4 Life Grant by Women’s Sports... Summer 2018 Newsletter – We reached 523 kids this summer! !